The Accessory Clamp attaches two (2) 1-inch diameter balls. 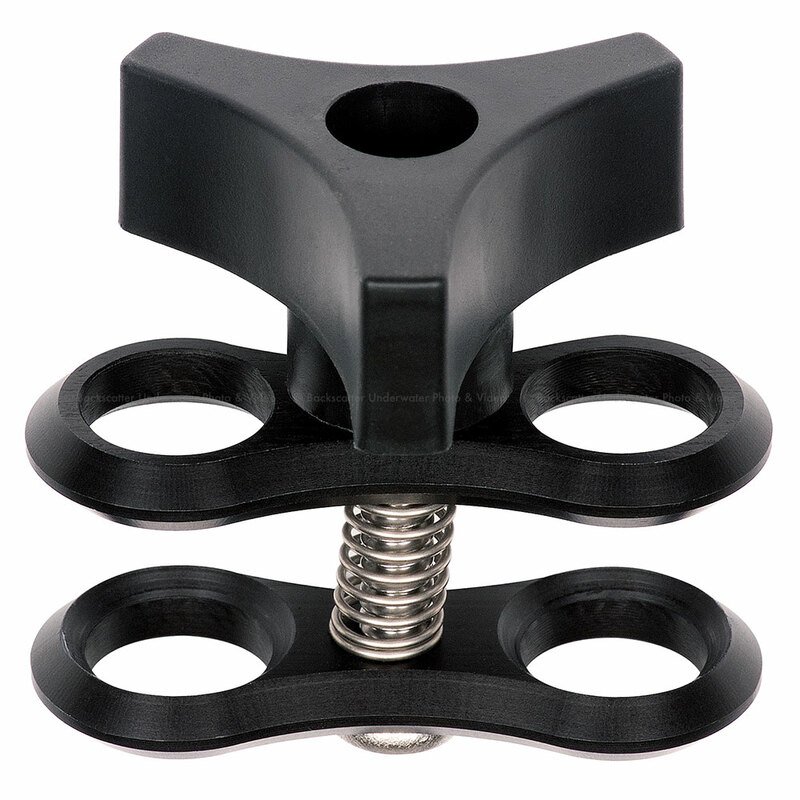 In travel, every ounce counts so Ikelite reduced plate thickness and chose a light, three prong wing nut to reduce weight as compared to Ikelite's Standard Clamp. The result is a lighter, maneuverable clamp with the perfect amount of holding power for small lights and accessories which weigh less than one pound. Plates are spring-loaded for easy assembly and breakdown of your arm system.